Security cameras and monitored surveillance are getting extremely popular among New York City consumers, particularly in Brooklyn neighborhoods like Park Slope. Not all systems are the same, however, and in fact, choose the wrong cameras for your home or business and you could leave yourself more vulnerable than if you had no system at all. In this article you’ll find some helpful tips. For additional guidance, make sure you check with us at (718) 484-4050. We’re Brooklyn locals and are familiar with the security requirements of residents like you. An M&D professional will be pleased to answer any of your questions. There are numerous applications, but we find that a lot of Park Slope homeowners use home security cameras for a couple particular reasons. Typical uses are: As prevention for break-ins or robbery; to safeguard family members from intruders; to supervise in-home caregivers, household staff and nannies. Which are the most popular security cameras for Park Slope households? 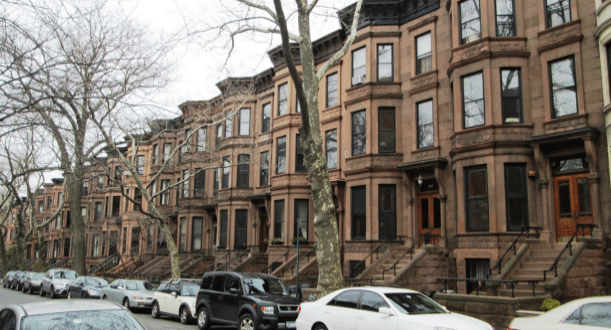 With our experience in home and business security within Brooklyn neighborhoods, we can recommend a few makes and models that are the most popular and best equipped for Park Slope consumers. Those that routinely perform best are Samsung, Bosch and Sony. These represent the three brand names M&D installs the most. We can update and support other makes and models, but check with us first. IP or network cameras have become popular among Park Slope homeowners. They allow monitoring from virtually any device and can easily integrate other options such as remote monitoring, wireless technology and multi-viewing. You could even monitor your home from anywhere as long as you have a computer or other hand held device with internet connection. Closed circuit or CCTV cameras have been around for a while and are very versatile. These units have gone through significant improvements over the last few years by incorporating digital feed and sophisticated computer access devices. Another highly popular solution among Park Slope residents and businesses, dome cameras provide the most flexibility. They can rotate in any direction without warning intruders that they are being watched. Since the dome is shaded, it is uncertain where the camera is directed and if it is even working. This causes it to become a deterrent, even if the system isn’t on. A less costly solution, artificial camera equipment gives the appearance of surveillance without the cost. The aim is that would-be criminals will spot the camera and move on. Dome camera housing is generally used for fake cameras. These models are generally used by individuals who can’t afford an actual surveillance solution, but need a deterrent for likely trespassers. They even have pulsating lights to make them look operational. Security cameras for outdoor use are durable and able to withstand severe weather and temperature conditions. In most cases, they are pointed in one place and possess limited range. More expensive units can usually rotate their direction, but most cameras are still and need to be moved manually to change camera angles. With infrared technology, night vision systems make it possible for you to keep an eye on an area almost completely obscured by darkness. A lot of these systems can now be used in both night and day, allowing for more dependable monitoring. Wireless security cameras are quite common among Park Slope. These devices are perfect options to avoid long cables, drilling and damage to your home. A lot of clients ask us about spy cameras. We’ve installed some throughout the area. They can be of very high quality, though we almost never recommend them because a hidden camera does very little to help discourage crime. It’s always much better to use security cameras to avoid break-ins rather than capture them. Motion detectors can be set up with your alarm and security system. Cameras are triggered any time the sensing unit identifies movement. Additionally, some receptors are able to alert a security company. Some Park Slope residents have their detectors configured for fire, smoke and harmful chemicals as well. Check with your security professional to determine which configurations are best for you. With all these highly technical cameras and monitoring devices, it would seem that a new system might be difficult to use. Well, some of the more high-end home security systems are a bit complicated and necessitate some training. For most home owners, however, today’s units are considerably easier. If you can turn on your laptop or computer, chances are you will likely have no difficulty. If M&D sets it up for you, we’ll teach you how it all performs until you are completely satisfied and confident with your system’s operations and capabilities. Where are the best places to set up my system? You don’t set it up, actually. We do it for you. From time to time we come across a homeowner who has purchased their particular system at a big box store such as Walmart or target. Without the right installation, these cameras will often be positioned improperly and configured incorrectly, causing more challenges than they solve. We don’t fault anyone for wishing to save money, but home security is just too critical not to be done correctly. Your system cannot be correctly installed without the technician on site. Knowing just how to position the camera to attain top visibility, eliminate glare and act as a deterrent is the job of a qualified expert. Be sure to hire a professional installation expert. We’ll help you avert costly problems down the road. How good are these systems? How well will they work? If installed by a specialist, they are very effective at recording the specific activity you want. But a pro who knows what they’re doing won’t end there, he or she will position them as a crime deterrent so the burglar or thief will move on. Install it yourself and you run the risk of burglars hacking your system and slicing wiring. Thieves can generally find a system that was not put in by a professional. Again, look for a skilled installation expert. Don’t risk the safety of your loved ones by taking shortcuts. Call M&D at (718) 484-4050. We have years of experience not just in home security, but in your neighborhood as well. We’ll make sure to install one of the top three brands; Bosch, Samsung or Sony. We’ll be sure that your new security camera system is fully operational and that you are comfortable operating it on your own. You’ll have to settle on color or black and white. There can be a major price savings. If an area being monitoried includes extremes such as a lot of light or dim light, it’s best to use black and white because it will be much easier to pick up weak images. If your area to be observed is indoors, you can look at color, but it might not be necessary. Finding the optimum resolution for your monitors is important. The higher resolution, the clearer your images are going to be. Lower resolution might be less expensive, but aren’t a good choice for detailed facial or feature recognition. Finally, make sure your video cameras, displays, sensors and remote access items are all compatible. Every now and then, we find residents that have acquired various makes and models and have discovered that their cameras were not compatible with their other monitoring equipment. Try to stick to the same brand for all your components whenever possible. What can I expect to pay for all this in Park Slope? Always a good concern, we can determine the cost of your system. To help, we will need to ask you some questions as well: What do you want to view? How many rooms do you need to keep track of? What is the square footage of all the areas to be monitored? Do you want indoor or outdoor cameras? How advanced would you like your camera system? And how often will you be using your security cameras? If all of this sounds like too much, don’t worry. Call us at (718) 484-4050. Our consultants are really great at making home security easy and fun. Helping Brooklyn homeowners keep secure and safe is what we do best. Home surveillance systems have been a big part of that. Additional protective measures include installing alarm systems, fitting access points with specialized locks and securing all doors, windows and gates. We’ll even secure your garage door if you’ve got one. We’ll execute a full property inspection and tell you exactly where you’re vulnerable. If your building or block doesn’t have a neighborhood watch program, then take the lead and start one. Your nosey neighbors may be the biggest crime deterrent you have. Lastly, think about getting a dog. They will adapt to an urban environment relatively easily and are outstanding protection against the bad guys. Call us at (718) 484-4050 for your home security review today.